The alarm went off at 4:15 AM in the morning. This was a couple of hours short of waking up chipper. For a moment I didn’t know where I was, what I was doing. Then I groggily recollected that Bill and I had been invited to tag along with the Wings Birding Group today on a trip into the Big Thicket at Boykins Spring. Which is north of Beaumont in the Piney Woods. A mature Loblolly Pine forest with native grasses in the understory supported a colony of the endangered Red-cockaded Woodpecker, the criptic Bachman’s Sparrow and Swainson’s Warbler, which was on the top of my “Most Wanted List”. It’s a bit of a drive from Winnie Texas to Boykin Springs, but by 7:15 AM, Bill and I were working the nest trees for woodpeckers and were successful within the first 15 minutes . 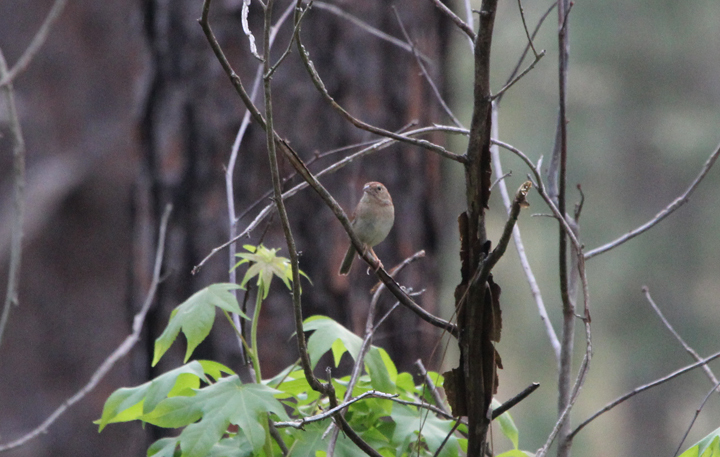 We then joined Jon Dunn and the group for the sparrow. Eventually everyone got good looks at Bachman’s Sparrow. This western subspecies, illinoisensis, is much redder than the Bachman’s I saw in Florida earlier this year. Today’s events are worthy of more commentary, but it’s late and I’m tired so this will have to do for now. John–Congratulations on 500. I had a hunch that it was going to be Swainsons, and to get it with Dunn is really fitting. that’s three of my top lifers in one morning! You and Bill are living the dream! Your even with Lynn Barber’s big year right now. John, Well I don’t know what you are up to putzing around today, but I got a county/state bird up here. Congratulations on 500 John! 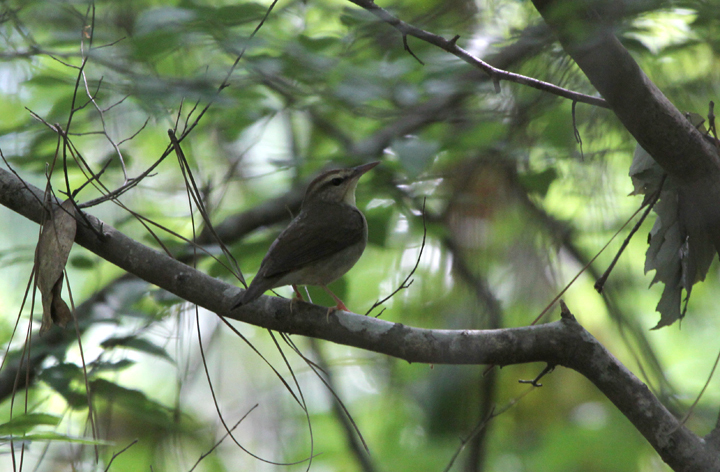 Swainson’s Warbler, that is totally awesome. Great photos, too. Awesome birding, John. Number 500 with Mr. Dunn! Thanks, for the info. I still may want to go to Barrow. 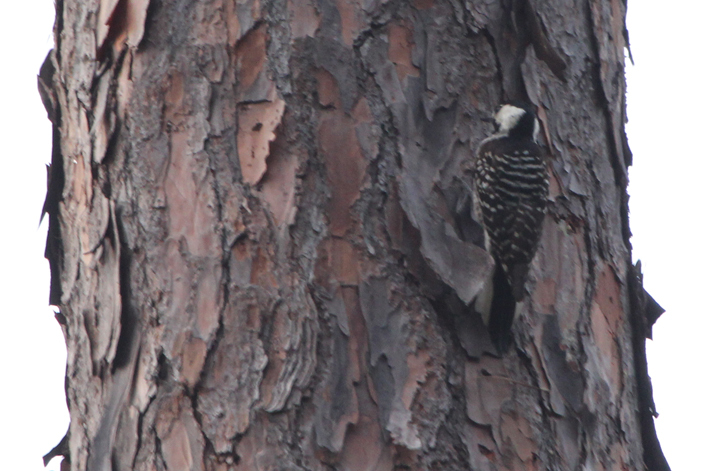 Three-toed Woodpeckers are fairly plentiful this year in Upper Beaver Meadows in Rocky Mountain NP.